There’s nothing like the magic of floating in a hot air balloon – but they can be equally breathtaking while tethered to the ground, and lit up at night. 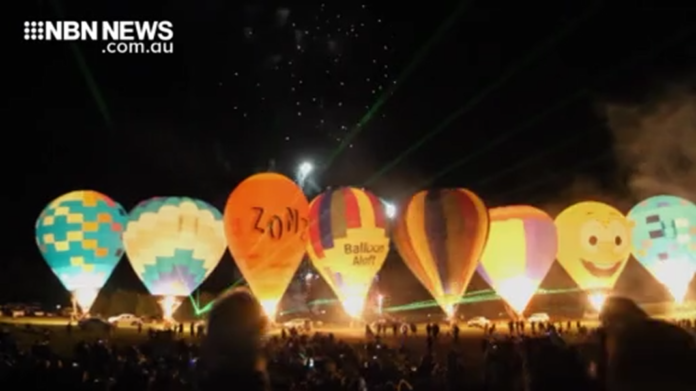 As temperatures dipped over the weekend, 7,000 people were kept toasty by the warm glow of balloons at the Roche Estate vineyard in the Hunter Valley. Headlining the Night Glow event, the 34-metre long Skywhale.